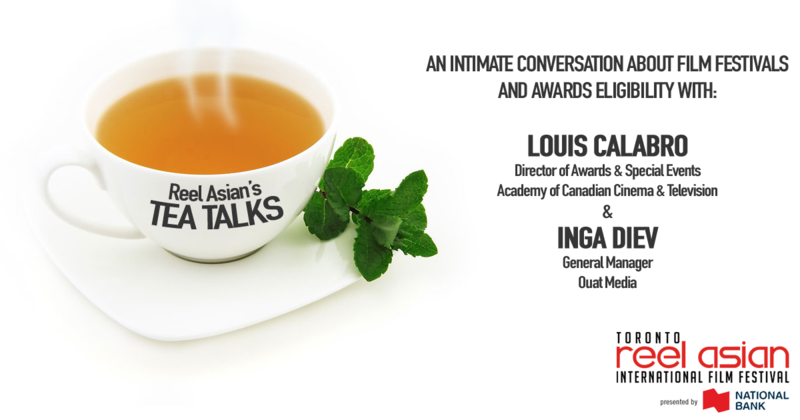 Reel Asian’s Tea Talks continue this February with a focus on Awards Season and how film festivals play a role in awards eligibility. Meet a member from the Academy of Canadian Film and Television, Louis Calabro, and festival distribution strategist Inga Diev, as they breakdown the eligibility processes for the Canadian Screen Awards and the Academy Awards®. This Tea Talk is $5 at the door, or FREE for past Unsung Voices participants and Reel Asian Pitch Finalists, on a first come, first served basis. Limited slots available. Apply below! Louis Calabro is the Director of Awards & Special Events at the Academy of Canadian Cinema & Television, where he is responsible for supervising and producing elements surrounding the Canadian Screen Awards (formerly known as the Genie and Gemini Awards). 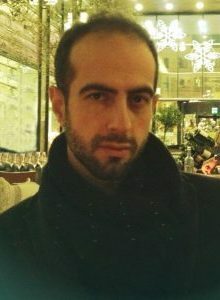 Calabro is also the Founder of the Prism Prize, a national arts award presented to the best Canadian music video of the year. In 2005, Calabro co-founded Goin’ Steady Productions, acting as DJ and producer for 200+ events in Toronto and Montréal, including the long-running Goin’ Steady and Chronologic dance parties. A graduate of the University of Toronto with a Major in Cinema Studies, Louis lives and works in Toronto. Inga Diev serves as the General Manager of Ouat Media, a Toronto-based international sales and distribution company specializing in short films. To date, Ouat Media has represented ten Academy Award® nominated short films including three winners. 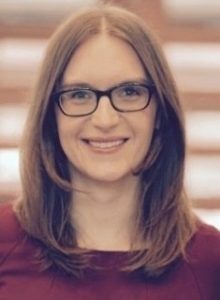 In her role, Inga is responsible for the company’s business operations and oversees all the film sales and acquisitions. Prior to joining Ouat Media, Inga spent over a decade working in film production and broadcast programming, most recently, at Sundance Channel Canada. Inga shares her expertise of the film industry by chairing in festival juries and participating in guest panels around the world, including Toronto International Film Festival and Cannes Film Festival. Inga is a graduate of York University (BFA in Film Production) and University of Oxford (MSt in Film Aesthetics).